Head Start programs focus on the school readiness of young children from low-income families, and would best serve children by supporting and recognizing all of the adults involved in a child’s care and well-being. 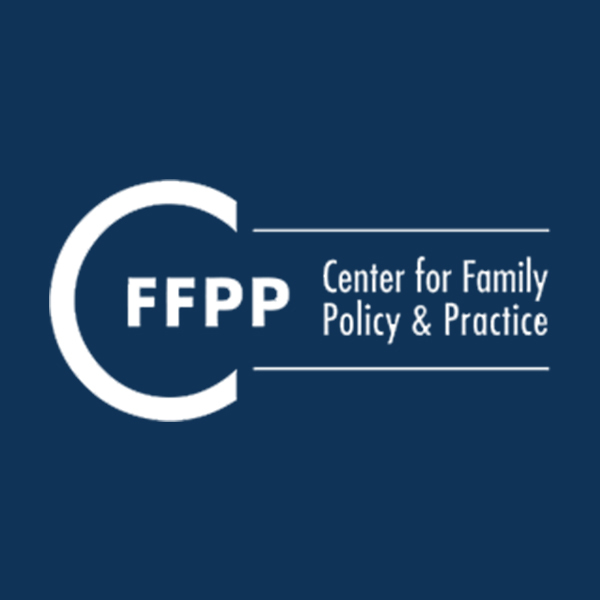 If one thing has become clear to us at CFFPP, it is that families are complex, and that the expansion of social and economic opportunities for low-income parents is made more difficult by the inability to recognize both parents as natural and important people in their children’s lives. This lack of recognition is particularly common with regard to low-income fathers of color that do not live with their children all the time. So when we reviewed Head Start’s recent (2014) Program Information Reports, we were struck by two aspects of it that perpetuate the problem of accounting for this complexity: the report’s framing of the make-up of families, and its information about the race and ethnicity of program participants. Family make-up varies and fathers are often active members of their children’s families. Head Start collects program information specific to fathers and father figures through two questions under a section called “Father Involvement.” The first question focuses on whether the Head Start program has “Organized and regularly scheduled activities designed to involve fathers/father figures,” and the second asks for the “Number of enrolled children whose fathers/father figures participated in those activities.” There is no counterpart “Mother/Mother Figure Involvement” section. It is also significant that the segment about fathers/father figures follows a “Family Services” section that highlights opportunities available to families (e.g., crisis intervention, housing assistance, job training, mental health services). This framing construes fathers/father figures as outsiders to their families and therefore to their children’s lives. Fathers/father figures play a variety of roles in the care of their children. Those roles also vary tremendously among families (regardless of income, race, or marital status) and shift over time as the lives of parents and children shift (e.g., job changes, school changes, child needs and development, relationships). Since many children have more than one parent or parent figure involved in their care, Head Start’s reporting mechanisms should allow for the variations in family make-up that children experience. Positioning fathers as outsiders does not do that. Given the goal of school readiness, it is important that Head Start specifically acknowledge the presence of fathers in many children’s lives, but it should be done in a way that supports children and families and recognizes the various ways that the care of children happens. Putting the best construction on Head Start’s interest in learning about fathers and father figures, one might see a reason to collect information about the men’s efforts to help their children prepare for school, which is a reasonable focus for Head Start. That information might guide Head Start’s efforts around school readiness, but that is not what Head Start is asking of its programs. Instead it does include questions that assess whether Head Start centers are developing programming with fathers/father figures in mind and whether they attend. In other words, the questions assess the relationships fathers have with Head Start, not the relationships that fathers have with their children. If Head Start wants to understand the extent to which fathers/father figures are participating in targeted programming, it would be important to understand those participation rates in the context of the roles that each father/father figure plays in his child’s life. A child’s school readiness is affected by each parent and parent figure in the life of that child. Sometimes that means one adult and sometimes it means more. Many children have two parents involved in their lives and care, often a mother and a father. The configuration of that care is affected by many variables, including work schedules; incomes; whether parents are married, divorced, living together or living separately; geography; and the presence of other family members. With a goal of supporting children and families, the programming that Head Start offers and the data it collects should incorporate children’s actual experiences of family, whether or not there are one or more parents and/or parent figures, whether they are of the same gender, or whether the adults live together or are married, among other variables. Head Start’s focus on the school readiness of children means it has a responsibility to understand and serve children and families as they actually exist. While including the term “father figures” marks a positive step toward recognizing the varied constructions of families, it is unclear who fits into that group and why there isn’t a “mother figures” or even a “parent figures” group. Without both clear terminology and appropriate assessment that acknowledges all the parents and adults involved in the care and development of the child, Head Start limits its ability to effectively support families and children preparing for school. A second troublesome section of the 2014 report is “Participant Demographics.” For the first time, Head Start grantees were required to report participants’ race and ethnicity together (available in the Center for Law and Social Policy’s recently published Head Start by the Numbers). With that information, we now have a better understanding of who accesses Head Start services. Yet, a complex analysis that considers the intersections of race, ethnicity, language, and poverty would help us understand how the racial, ethnic, and linguistic demographics of Head Start participants compare to the racial, ethnic, and linguistic demographics of all low-income families in each service area. With that analysis, we would have a better understanding of Head Start’s effectiveness within and across demographic groups. Given the disparate levels of achievement among PK-12 students in the United States by race, ethnicity, linguistic, and socio-economic background, this is an important consideration in a federal program intended to promote the school readiness of low-income children and their families. Incorporating fathers into the assessment of Head Start’s effectiveness benefits children, and examining participants’ race and ethnicity can provide important information. Doing so in ways that include all the parents and parent figures involved in the lives of young children is essential. Additionally, Head Start can continue to improve its effectiveness by a more realistic and complex analysis of the demographic characteristics of the children, families, and communities it serves.